Are you sure that your horse is comfortable and pain free? Even small changes in your horse’s behaviour can communicate a problem. Every session with Naomi includes a thorough assessment of the horse. 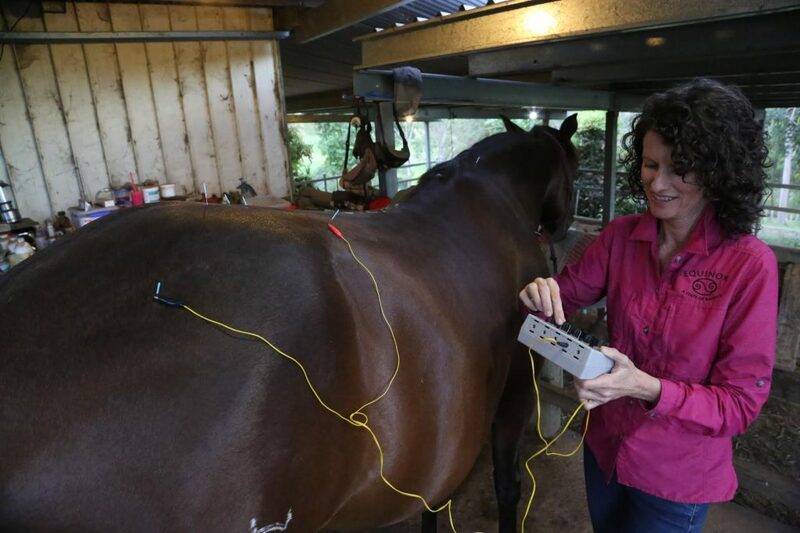 With qualifications in acupuncture, shiatsu massage, laser therapy, and Bowen therapy, Naomi can tailor the session to your horse. riding problems due to soft tissue injuries. If your horse is in good health, acupuncture can help prevent injury and illness. Chinese medicine has been used in this way for thousands of years. Your horse is an athlete. Help them to move well and feel good so that the two of you can perform at your best. Get started – call Naomi 0488 118155. Areas serviced in SA include the Adelaide Hills, the Barossa, Murray Bridge, Mt Barker, Gawler, and to the immediate north and south of Adelaide. Since moving to SA in November 2017, Naomi is offering services in SE Qld on a monthly basis. "Thanks Naomi for helping my 4 year old gelding. Lightly ridden and showing no real pain except stiffness in a back leg. After my farrier mentioned it a few times thought I should look into it. There were other signs like not backing well or moving shoulders well which I put down to being young. Well after Naomi worked her needles today he is backing lovely, moving his shoulders and just felt so much lighter and willing. Amazing difference."